The Staircase featured on this page is our Stairplan C Staircase. 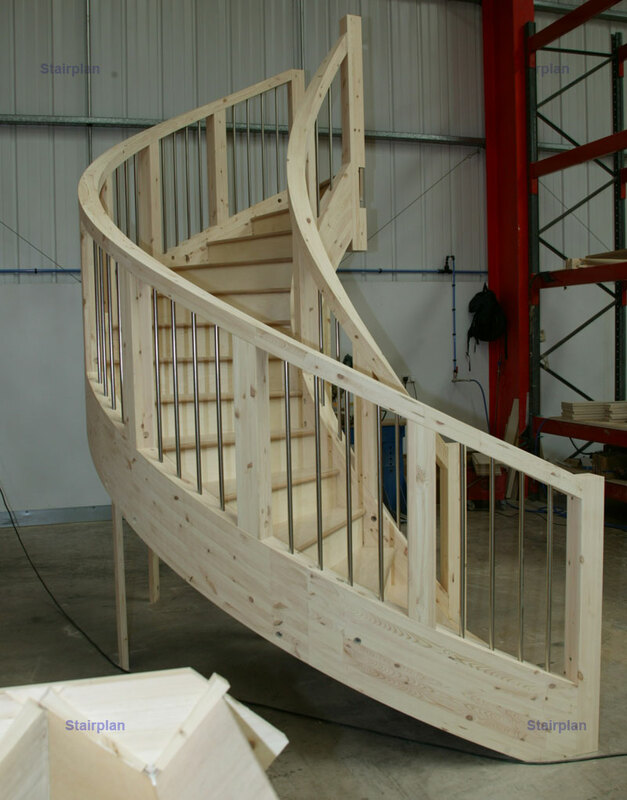 The Stairplan C Staircase featured on this page is a Chunky Contemporary specification to be finished in White with Oak Treads and Stainless Steel Balusters. 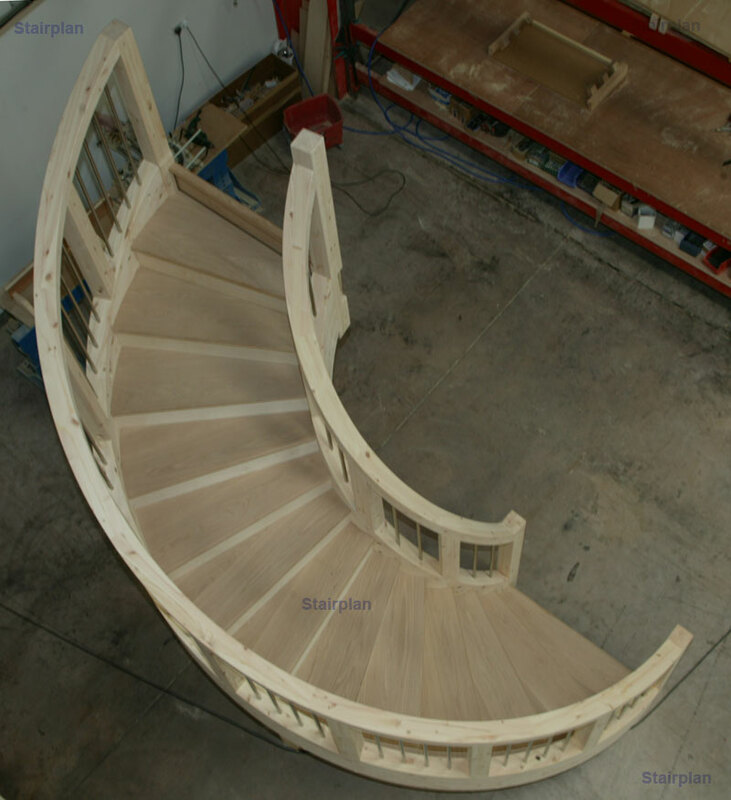 The newel posts are 100mm square section Pine the stair strings are 100mm in thickness, the treads are 30mm thiick in Oak, the staircase has stainless steel Balusters. 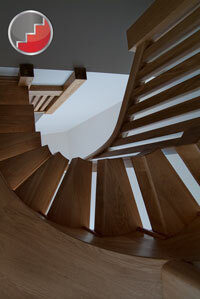 Stairplan produce staircases using the highest quality materials and machinery available. 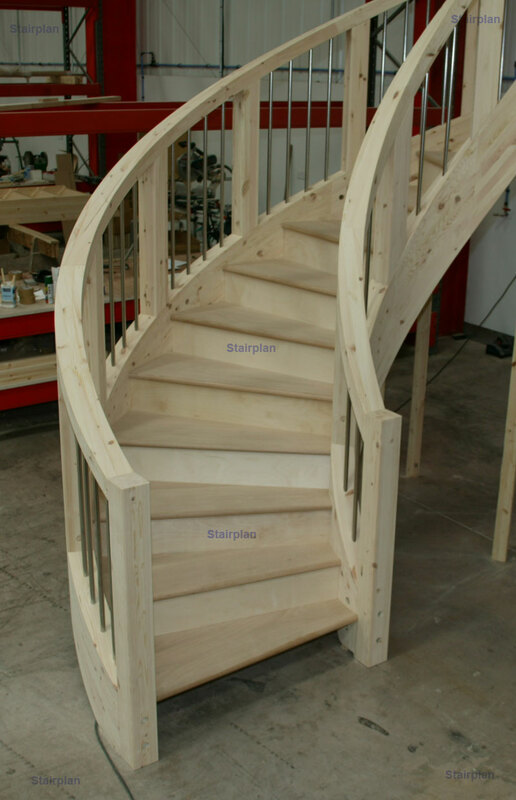 The Spindles we have on this staircase are stainless steel tube and this is drilled into the string and the handrail at the point of manufacture using the latest in staircase software and 5 Axis CNC technology. 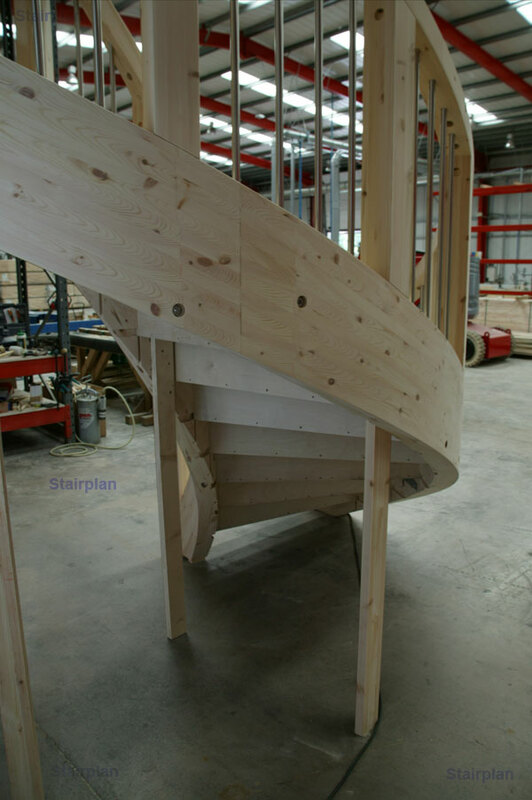 The Pine Used is Stairplans quality Engineered Pine this will ensure the stability of the timber with the moisture content being a key factor. 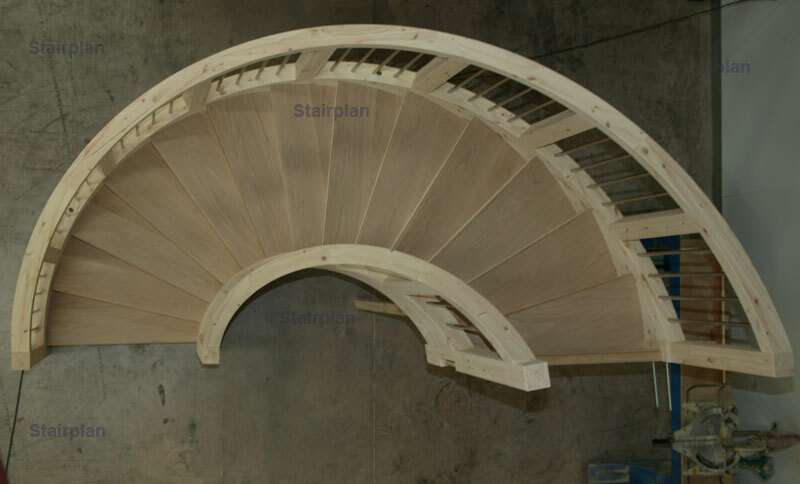 All Stairplan Staircases get fully assembled in the workshop by our skilled craftsmen..
On this image above you can see the Oak Stair Treads, these are in American White Oak the grade in " Super Prime ". 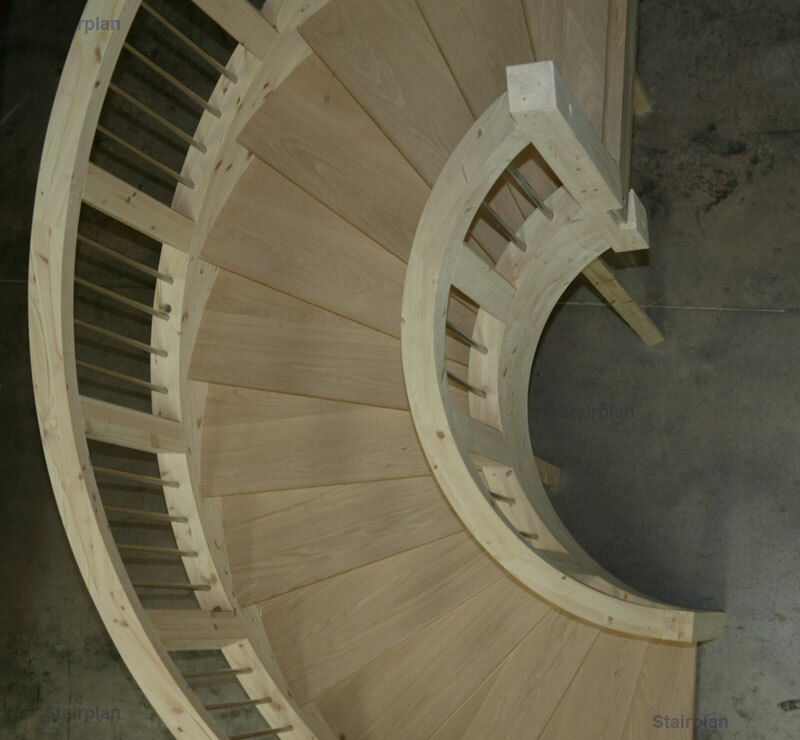 These will stand our further when the staircase has its whire finish and the treads are finished. 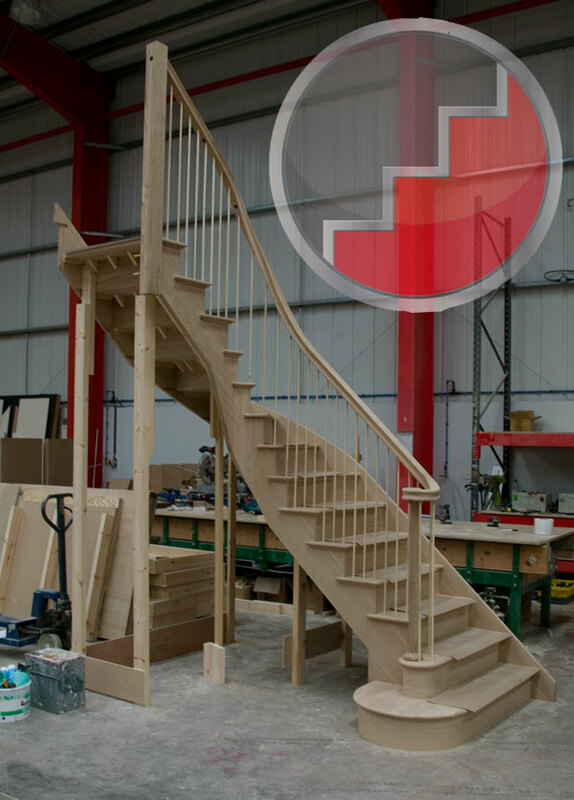 The 100mm Thick Stair Strings and Handrail give this style of Staircase (Stairplan C Staircase) a contemporary and Chunky feel the sizes cannot be appreciated from the photographs..
Stairplan C Staircase - Curved Staircases like this one require a far larger stairwell than a typical staircase..
At Stairplan we produce all our wreathed handrail and strings in house. 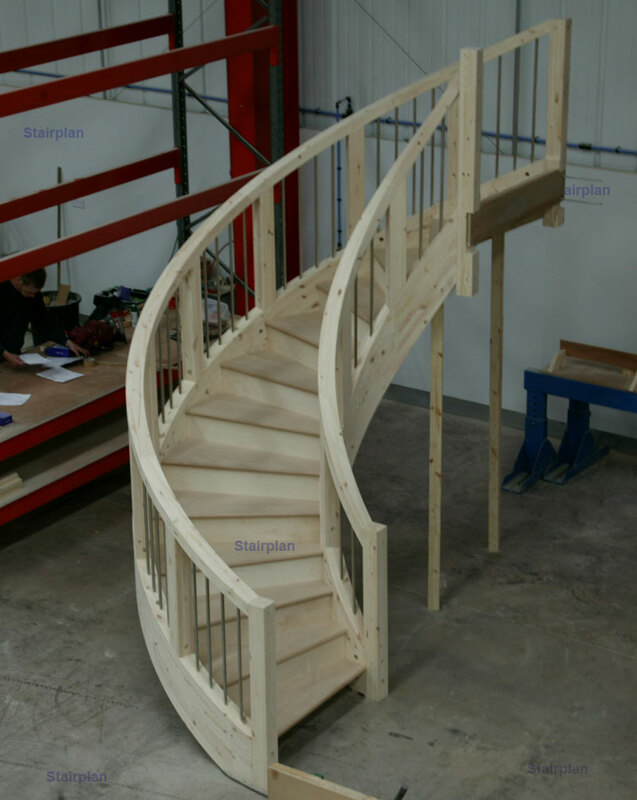 Our new workshop facility in Hortonwood Telford has given us far more space to work on more bespoke staircases like the Stairplan C Staircase. 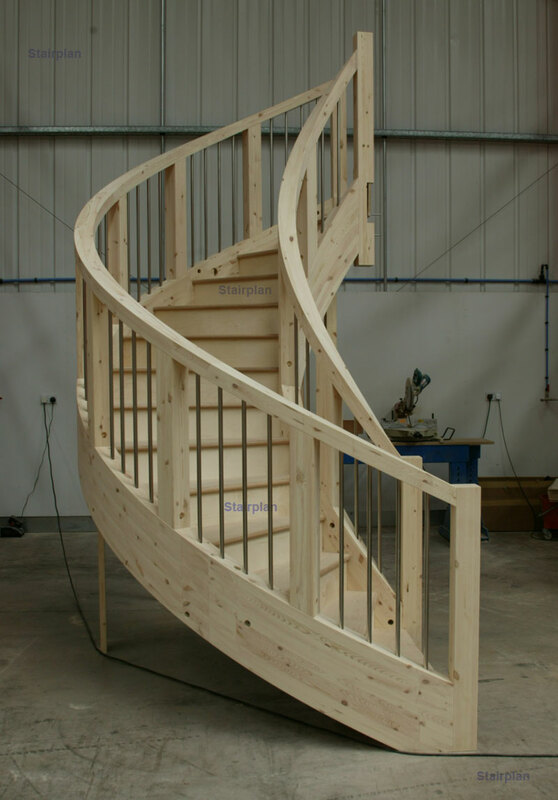 This white curved staircase is becoming popular for self builders looking for contemporary styled staircases. Hopefully we will get some images when the proect is finished.